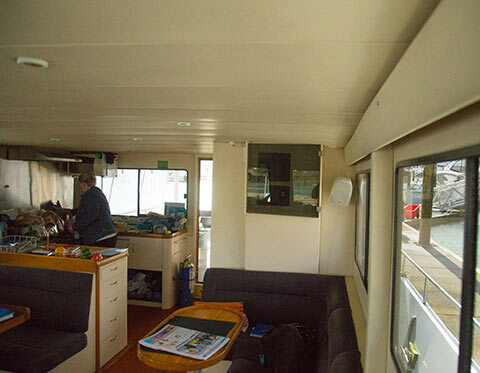 Dream Weaver is a purpose-built luxury charter catamaran for private and corporate cruises around the Hauraki Gulf. An experience not to be missed. Dreamweaver is an 18m Powercat that can accomodate up to 60 passengers on ocean charter tours. 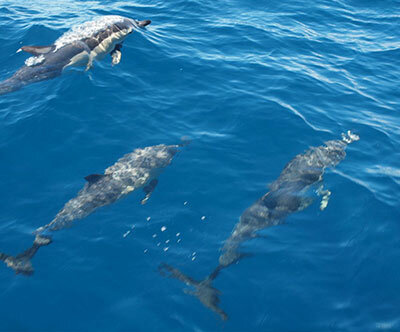 In case you do not see marine life during the excursion, Dreamweaver will give you a free tour on another excursion. 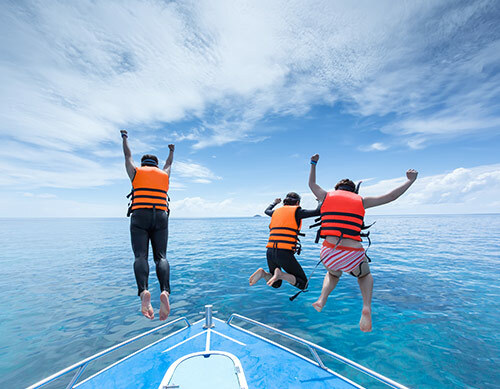 Dream Weaver is crewed by a team of professionals, hand-picked to offer the highest standards of service to ensure you have the most exciting and memorable time on the water. For your private function our caters have a selection of menus for you to choose from. Our complete on-board entertainment system features Auxiliary Input, CD, DVD, AM/FM radio with a home theatre in the main saloon. Dream Weaver is fully equipped for corporate events and private functions. All the above include Tea , Coffee, biscuits, fruit and a light lunch. 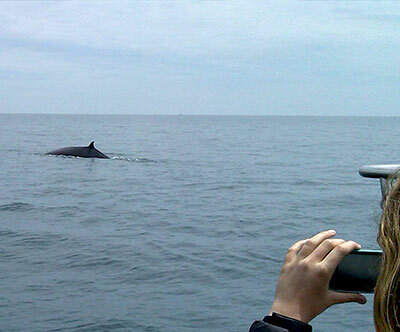 If we do not find a Marine mammal, passengers on the trip will be provided with a voucher entitling them to one free trip to be taken within 3 months. This is not a money back guarantee. The Hauraki Gulf is a very special place. 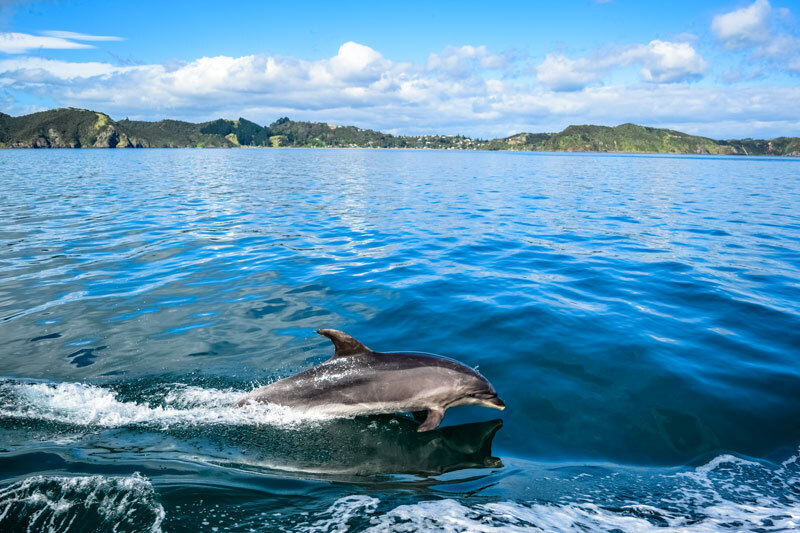 Its waters and islands are home to outstanding biological diversity and to those in the know, it is regarded as one of the best places in New Zealand to view marine life. 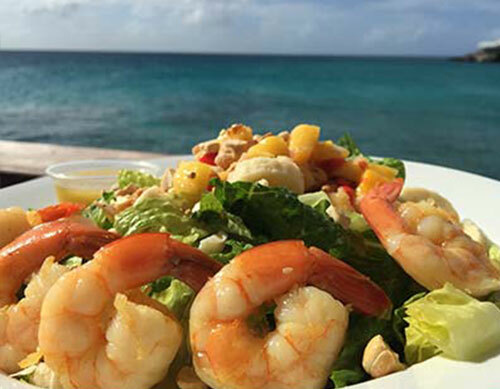 It's your cruise and we will go to where you like - cruise areas are not set in concrete, so if you have a favourite spot that you'd like to go to, then we are happy to oblige! 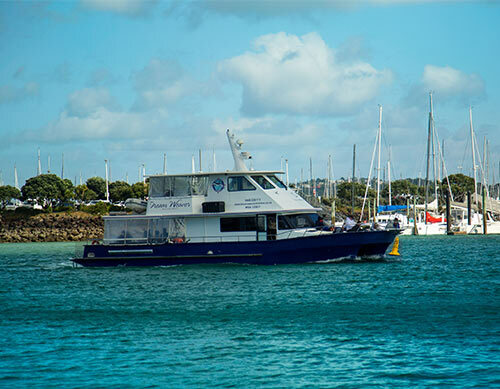 We commence our cruises starting with the Westahven Marina and conclude with the Viaduct Basin to soak up the party atmosphere of Aucklands favourite restaurants and clubs. 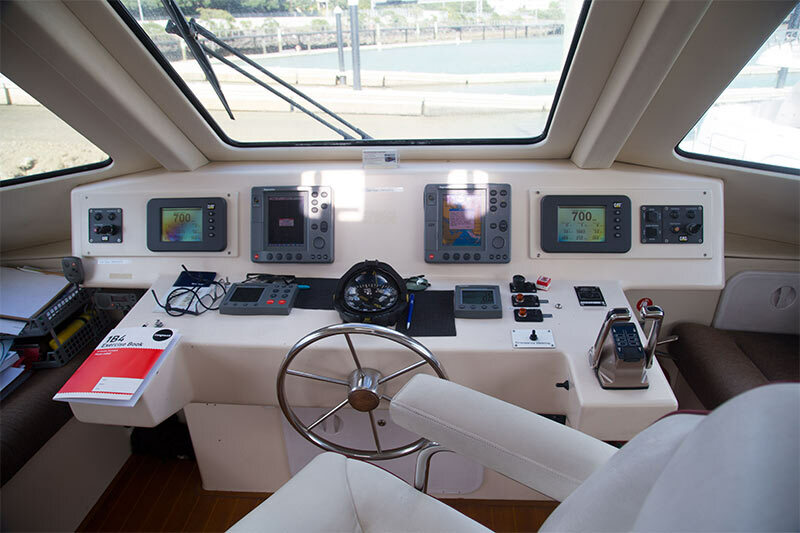 Dreamweaver is a comfortable, stable, high speed, well appointed 18 metre catamaran featuring full walk-around decks for 360 degree viewing. 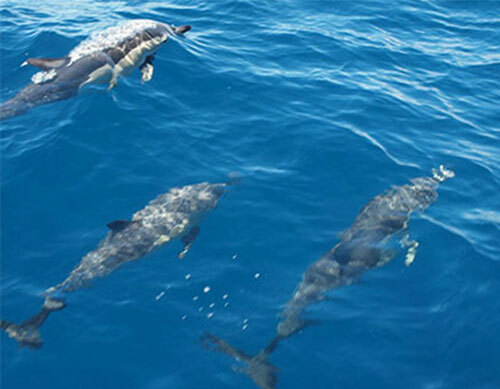 Dreamweaver is purpose-built to enable viewing of dolphins riding the bow waves. The interior has been refitted to accomodate a wide variety of functions including corporate events, weddings, parties and cocktail and dinner cruises. Dreamweaver is also available for private charter. Cruise areas are not set in concrete, so if you have a favourite spot that you'd like to go to, then we are happy to oblige! 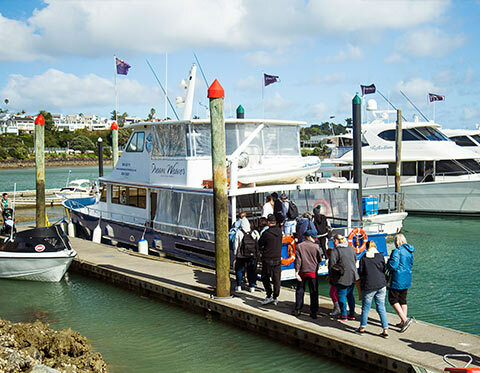 We commence our cruises starting with the Westhaven Marina and conclude with the Viaduct Basin to soak up the party atmosphere of Auckland's favourite restaurants and clubs. 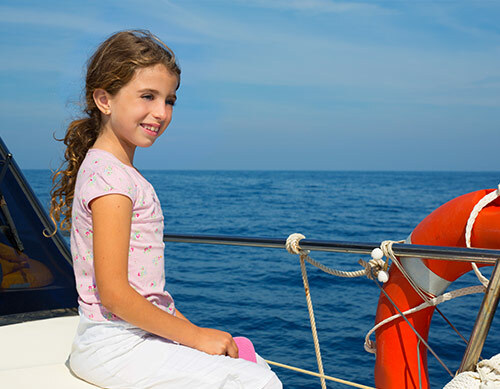 Dream Weaver offers a range of competitive rates to cover all charter options. 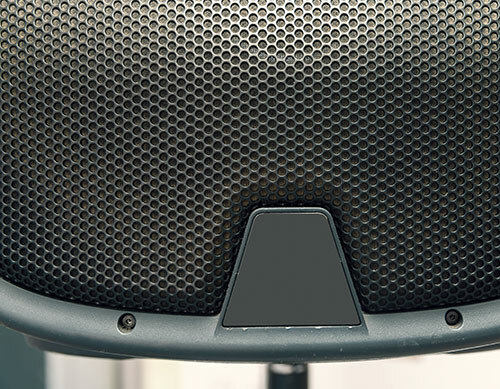 We will happily discuss your requirements and aim to accommodate your timescales and budgets through negotiation. Just wanted to say a big THANKYOU!! We all had a super time. Everyone has been talking about it this morning at work, how they enjoyed themselves. Mike was awesome so was Sue and that Angie she was perfect. We were blessed with the weather. The view of Rangitoto where we anchored for dinner was fab…thanks Captain Brian. I hope that there was no dramas from my guys….I believe everyone was well behaved, they were all sad it ended so early. That’s always the way when you have a great night it goes way to fast. So thanks again and Wishing Mike, Sue, Angie, Captain Brian and yourself a super Christmas. Just a note to say thank you again for all the help with our trip. Could you please thank Brian and Ros as well. It was truly a memorable trip for the kids and they have said it was the 'best school trip ever'. The parents were wrapped, I think for a lot of people they don't realise this wonderful opportunity is available so close to home. Thanks again, enjoy the festive season. will be back in a couple of years when we read the book again with the next lot of kids..
Thee pests threaten the native wildlife thriving in the Hauraki Gulf/Tikapapa Moana. They can accidently arrive with you - in or on your footwear and gear. Rats, Mice, Argentine Ants, Rainbow/plague skinks injure and kill our native wildlife and compete for their food. Weeds such as moth plant and rhammus can alter the habitat that our wildlife need to survive. Soil can carry disease such as kauri dieback which is killing our native trees. 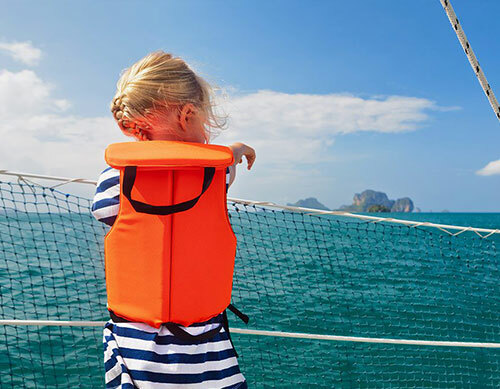 Boaties and kayakers:Check your boat or kayak thoroughly for pests, soil and seeds – before you leave and between islands in the Gulf. Keep an eye out for signs of pests e.g. droppings, chewed wiring etc. Keep pest bait/traps on your boat or kayak, and where it is stored. Leave your pet at home or on the boat.